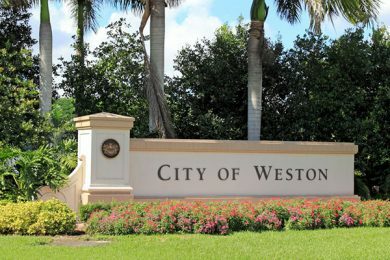 Florida Title Loans is the number one source for title loans in Weston! You’re in a financial situation and you need cash fast. If you live in or near Weston, Florida, you have an easy way to get the extra cash you need. Those unexpected emergencies that make you wonder how you will pay for them are quickly solved with a title loan. Title loans are made on the equity in any qualified property that you own. Although you give the certificate of title to the lender, you continue to own and use the property as you normally do. You also continue to make payment to the original lending institution for any unpaid balance. When you repay the loan, the lender returns your title and the transaction is completed. However, the lender may sell your property if you do not repay the loan at maturity. Title loans are ideal for some people, and it begins with our online application. When the form is completed, you’ll receive a title loan estimate for the amount of your loan. Our representative will contact you to work out the final details for a Fort Lauderdale title loan. Lender must provide you an opportunity to surrender the title to property voluntarily before repossession using a licensed repossession agent. You have the right to remove personal possessions before the sale of property. Lender must sell property through a licensed motor vehicle dealer. Lender must notify you of the date, time and place of the property sale. pay you any excess of sale proceeds within 30 days of the selling date. Once equity is established, the loan agreement is prepared, and you receive the agreed amount. Financial institutions usually refuse to lend small amounts. Florida Title Loans are available when all other credit sources are closed.